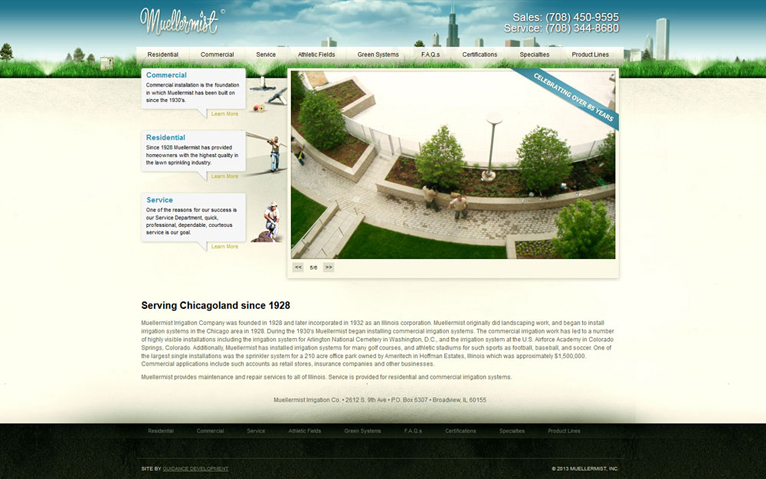 One of the top irrigation systems in Chicago, Mullermist underground sprinkler system is a commercial lawn business that brings “watering the lawn” to a whole new level. With strategic planning, Mullermist makes your lawn a masterpiece with an organized watering system. Why settle for the typical sprinkler when you can have work of art and a lawn to match!